From the Bestselling Author of Solitude! Grab your copy and start reading today! KirkusReviews.com: "Cole tackles the first-contact scenario with bombastic flair. His vibrant prose delivers the high-resolution imagery of a Hollywood blockbuster. A technologically riveting dream for sci-fi action fans. "AudiobookReviewer.com: "SECTOR 64 was a highly imaginative action-packed apocalyptic assault on your mind. 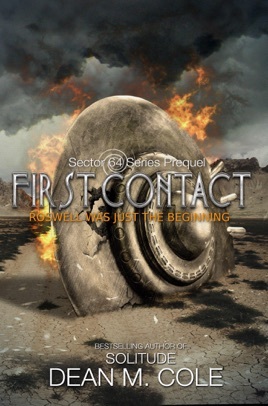 "IndieReader.com: "SECTOR 64 is an engaging book from the very first page to the final words of the Epilogue. "Audiobook-Heaven.com: "Cole has a good thing going ... His descriptions of aerial battle and his knowledge of the aircraft themselves fascinated me ... Sector 64 is a great read."